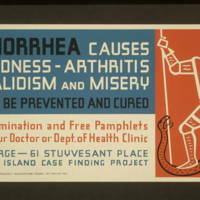 "Beware! 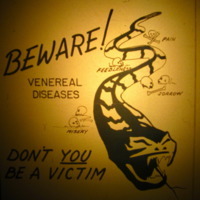 Venereal Diseases, Don't You Be A Victim"
This poster features a snake and warns of the serious effects of VD--pain, feebleness, sorrow, and misery. 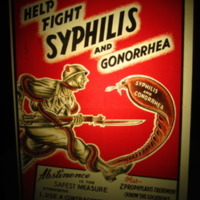 "Help Fight Syphilis and Gonorrhea"
This poster features a soldier attacking a snake labeled "syphilis and gonorrhea." 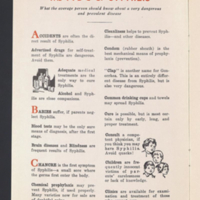 It advises servicemen to practice abstinence, condoms, and prophylaxis stations.